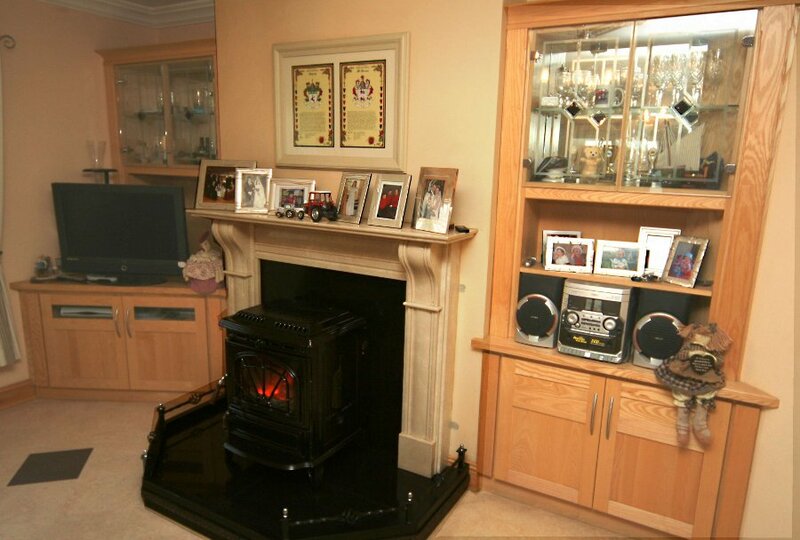 Paul James Kitchens Ltd. Glebe Large, Fahan, Co Donegal, Ireland. 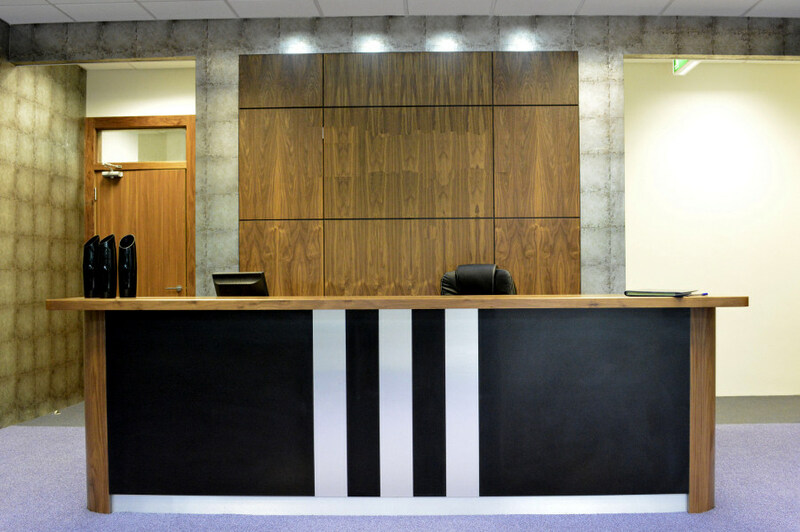 We are a company that manufactures bespoke furniture and are able to design furniture for every room in your home such as home studies, media centres and bathroom units. 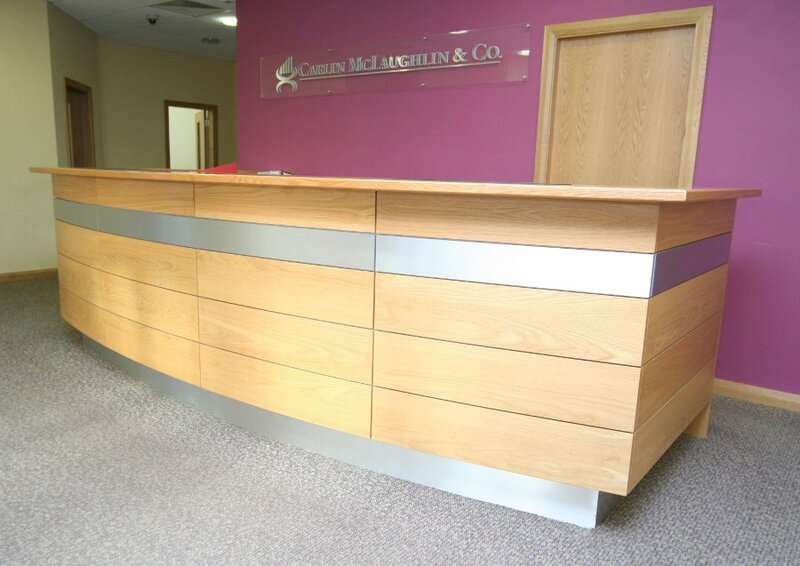 The benefits of individually designed and built furniture is that it can be created to incorporate existing architectural details and create a look that is sympathetic to its environment. 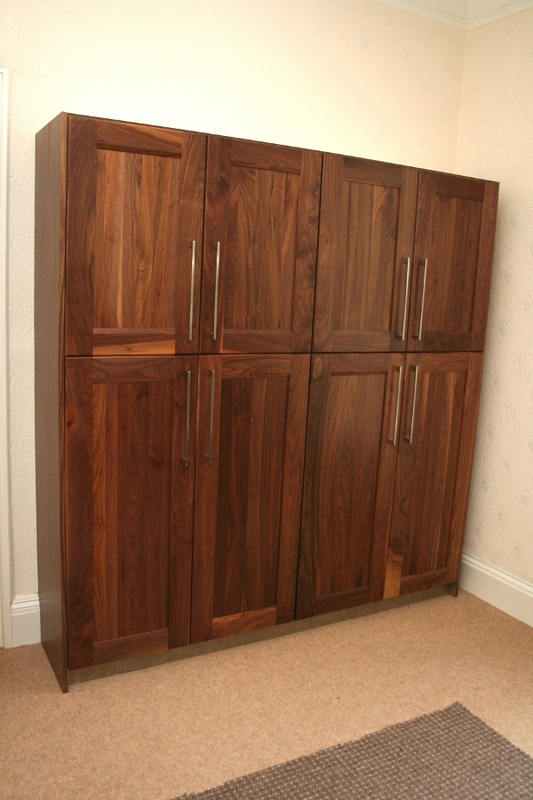 You can choose from a wide range of finishes to complement your home decor. 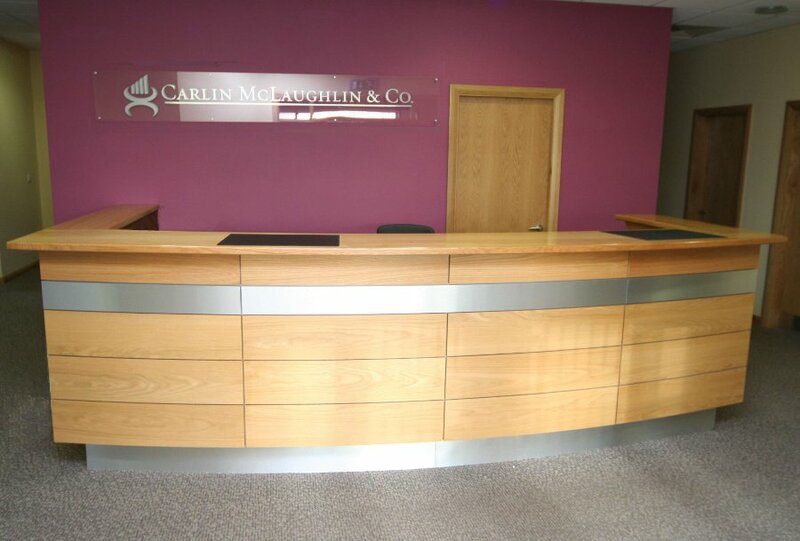 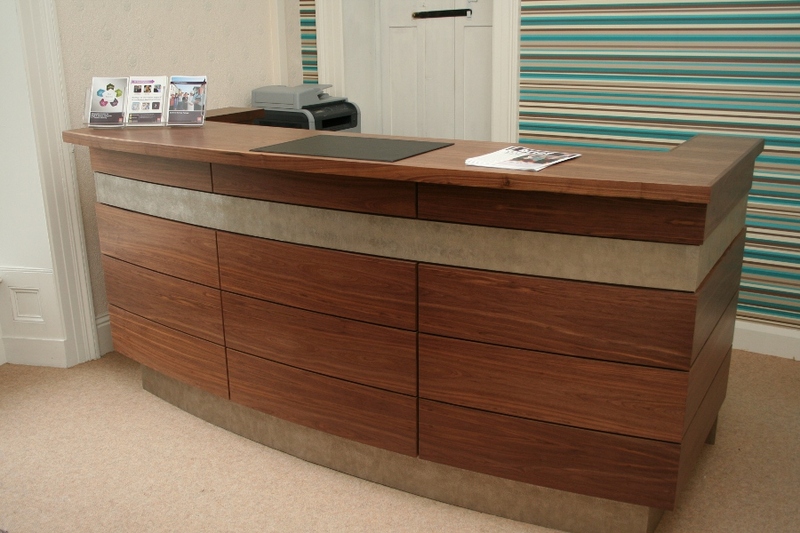 This stunning reception desk is the focal point of the business reception area. 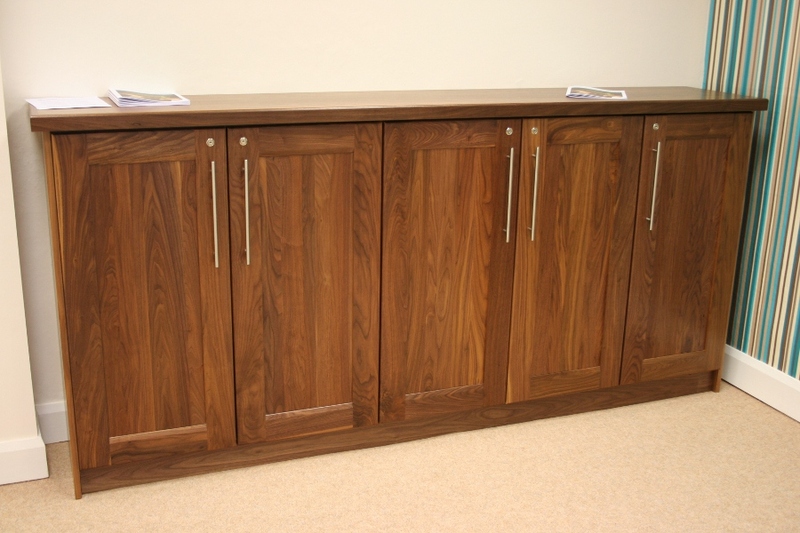 It is made using walnut panelling and inlayed with a textured panel and kicker to add a touch of elegance. 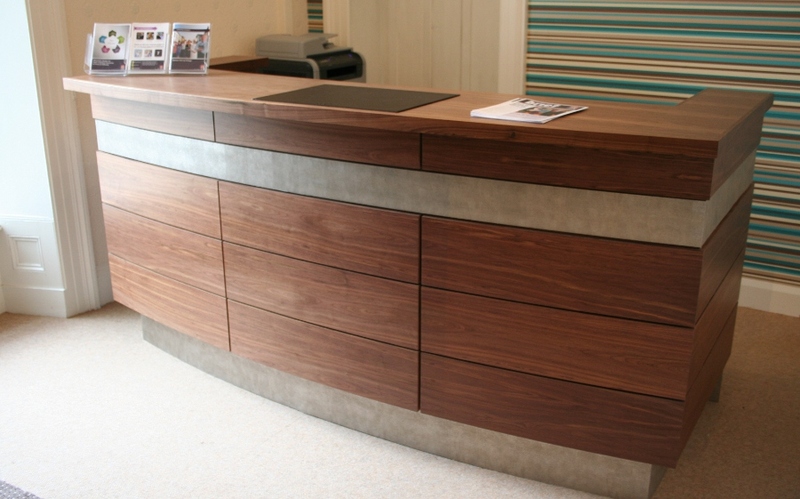 The material shown here is Leguan Silver and was chosen from our bespoke textured range. 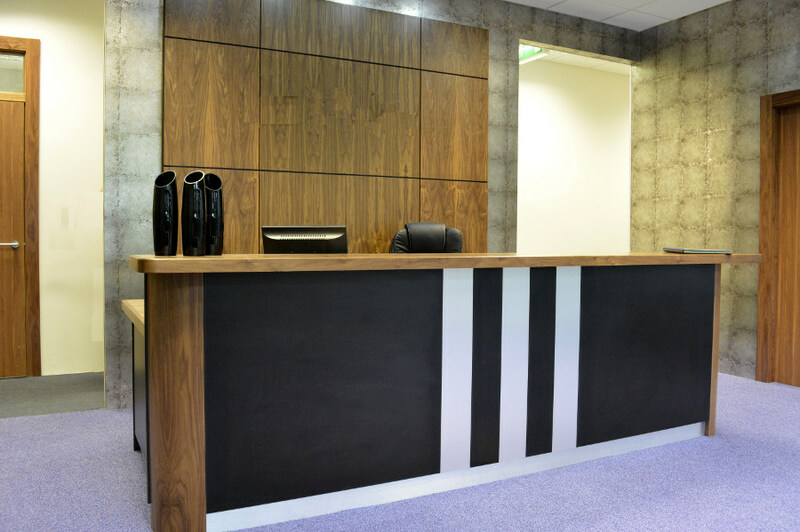 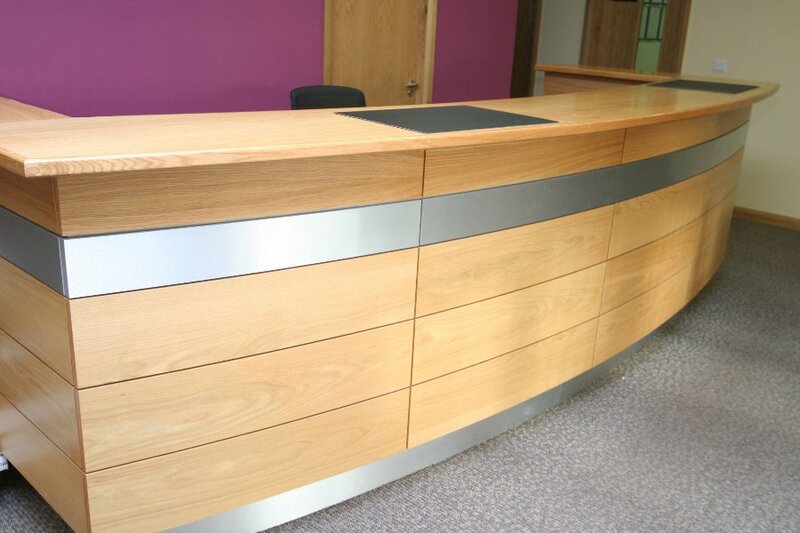 This Reception Desk was designed to the clients exact specification. 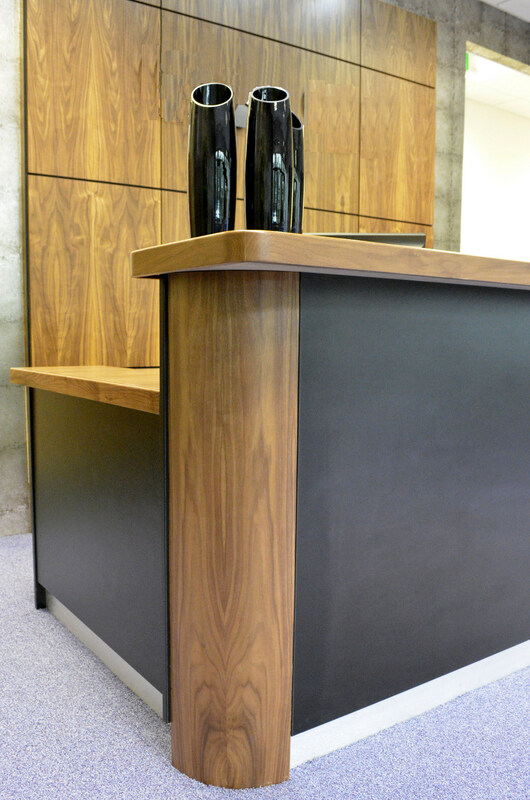 The Desk is designed in oak veneer panelling with stainless steel strip and kicker to add contrast and give a truly striking first impression to clients when they enter the business reception area. 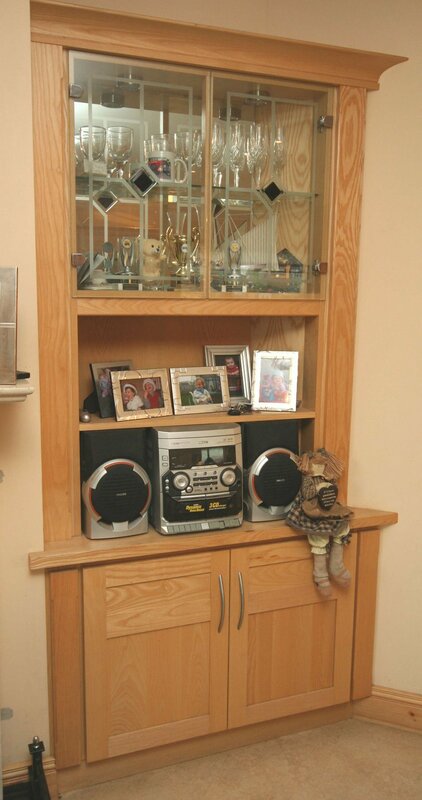 These bespoke solid Ash units were fitted in a clients home in Galway. 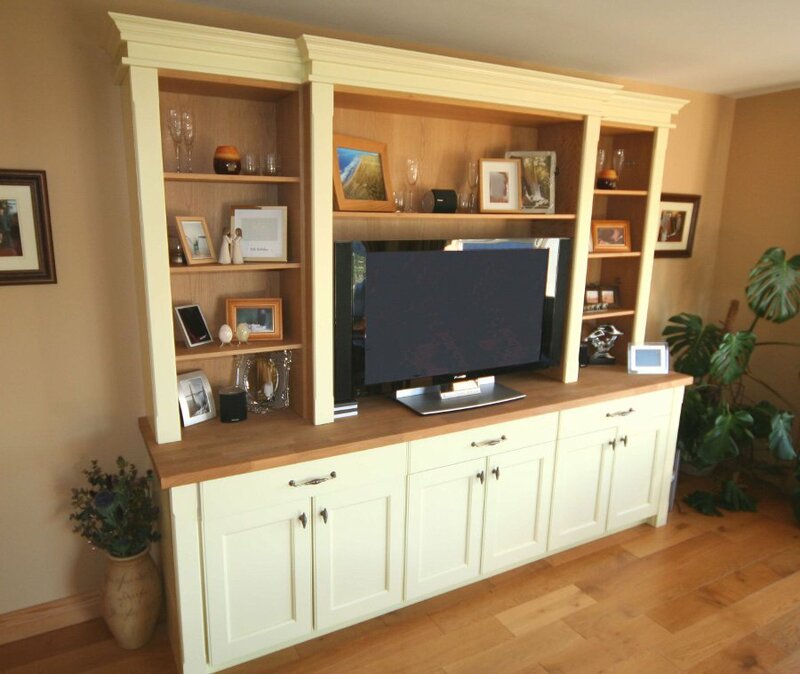 The units are fitted into the alcoves on each side of the fireplace and are designed to accommodate the TV as well as adding clever storage. 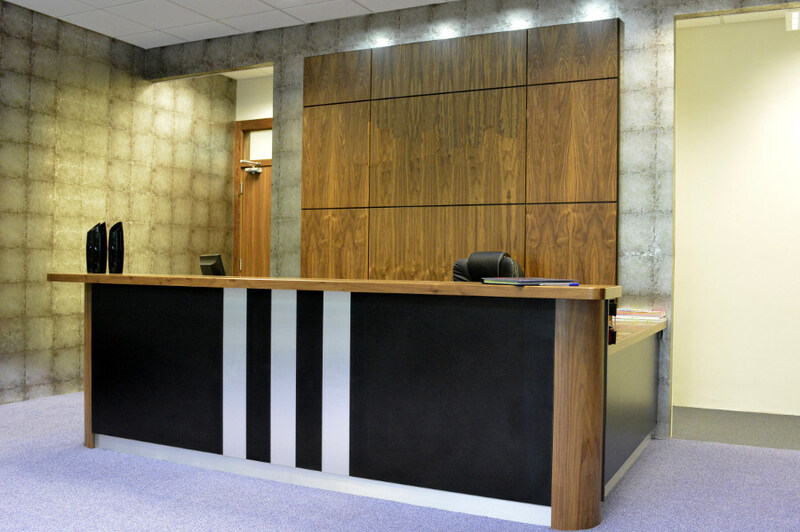 The frameless glass doors add feature. 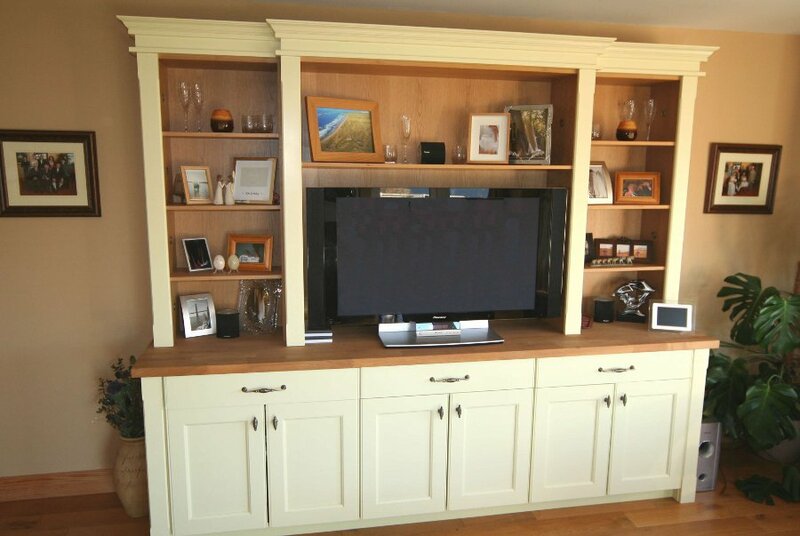 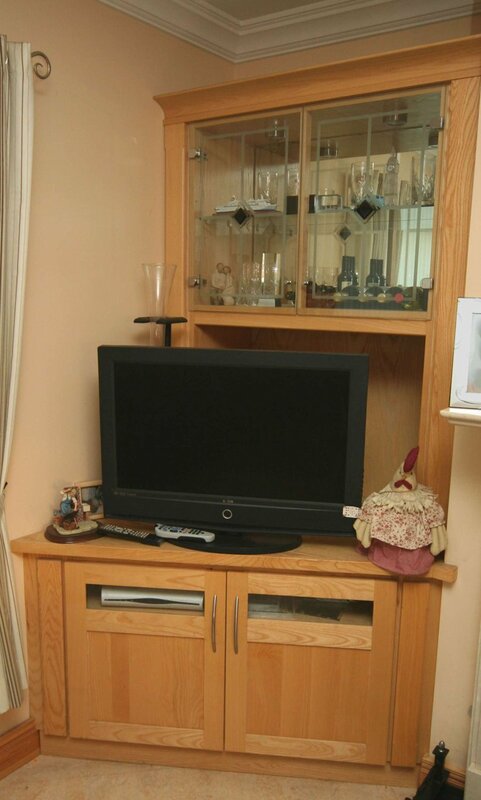 The client had this bespoke media unit designed to accommodate the large flat screen TV. 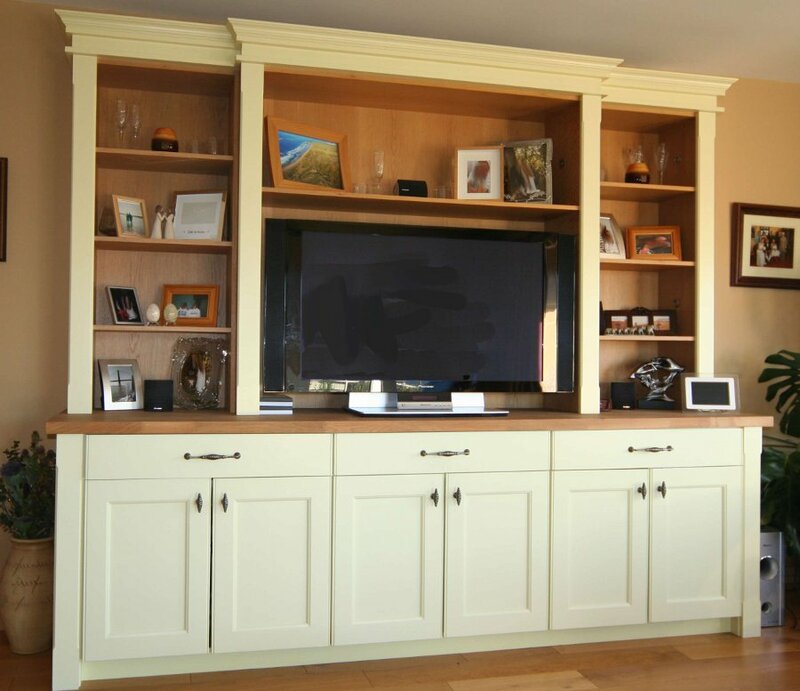 The unit is made from tulipwood and painted in cream. 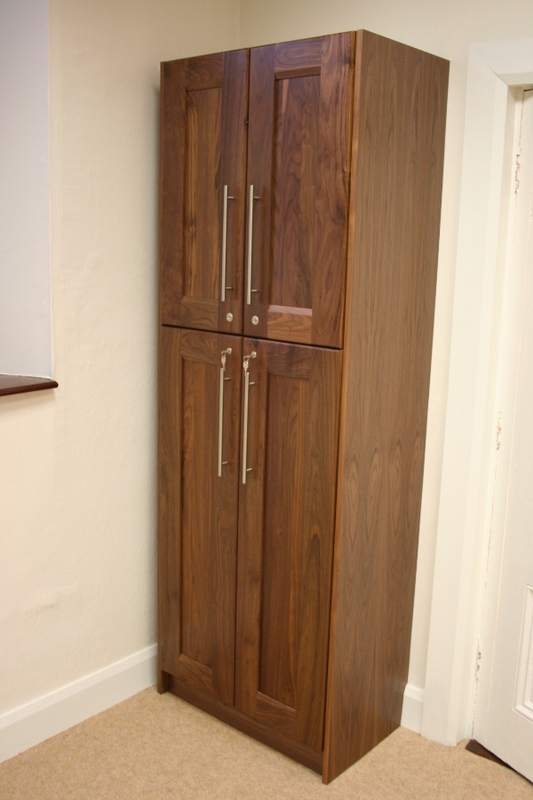 The oak worktop and shelves complement the cream and ties the unit in with the wooden oak flooring.